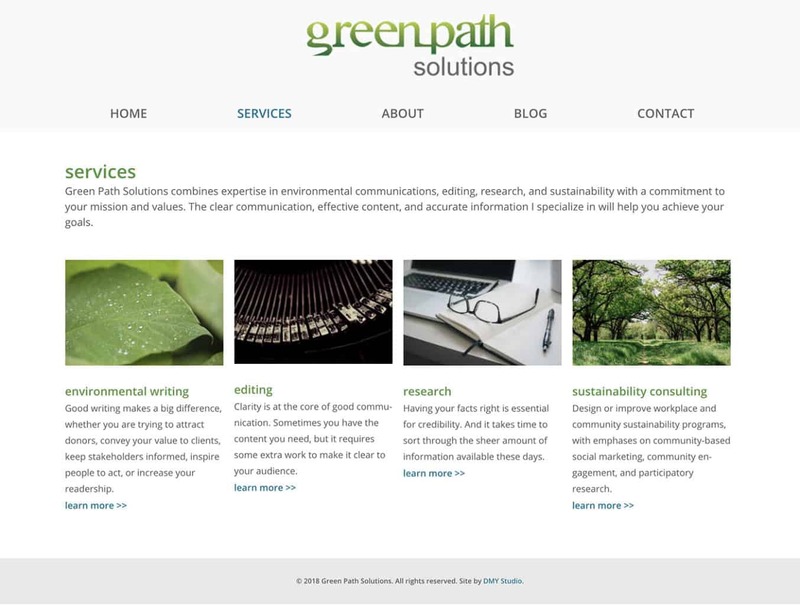 Expertise in environmental communication, editing, research, and sustainability. 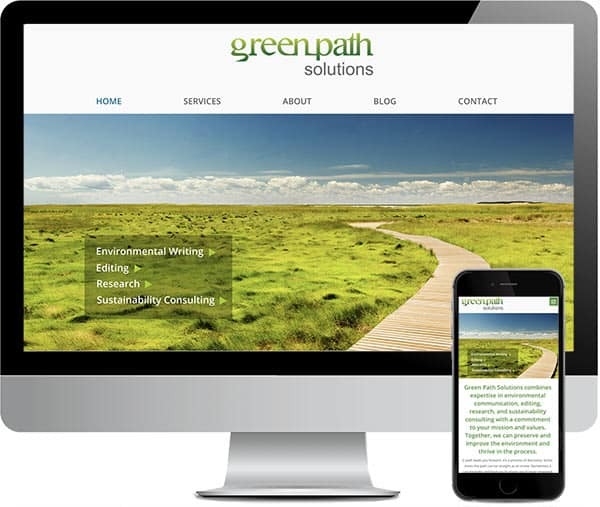 Green Path Solutions combines expertise in environmental communication, editing, research, and sustainability consulting with a commitment to the missions and values of the organizations they serve. Their fervent belief is that we can preserve and improve the environment, and thrive in the process. We created a custom WordPress theme for this open, simple, beautiful site.